How to compute an histogram (plot bars) binning the values from a .csv using TeX? I've a .csv with a column of acquired measures. 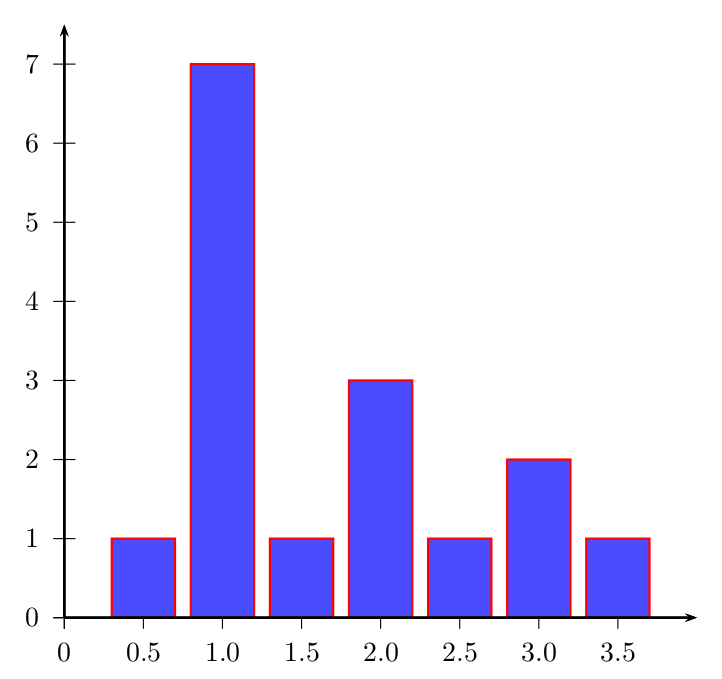 I would like to make the histogram bins using TeX from the measures distribution so I have to create the bins first. I haven't found any reference to perform an automatic binning or to set manually the intervals to produce the bins. I would like to know how can I do that and if I can perform non-uniform bins histogram. 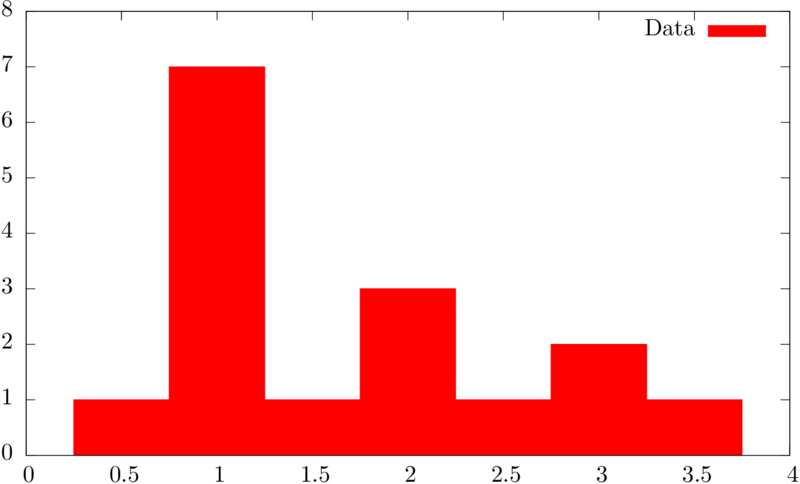 plt.hist(dist,7) #Compute the histogram of a set of data. P.S. I can't figure out exactly what the data are, but from your plot I've guessed. If I'm wrong, you should be able to change it yourself. Although is not a pure LaTeX approarch, may be an alternative to someone could be a Sweave (.Rnw) file, that R can convert in a true .tex file. With a well configured LaTeX editor as TeXworks, or RStudio this is not extra work for the user, as you simply edit the .Rnw file an the PDF file is compiled with one click, without dealing with R nor intermediate LaTeX files. Not the answer you're looking for? 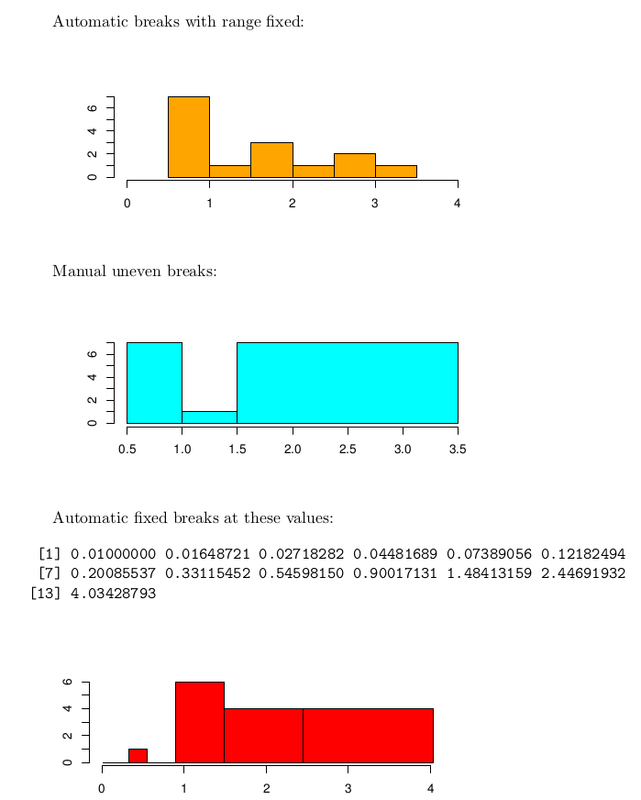 Browse other questions tagged tikz-pgf pgfplots bar-chart csv or ask your own question. How do I create a weighted histogram from a data file using pgfplots?